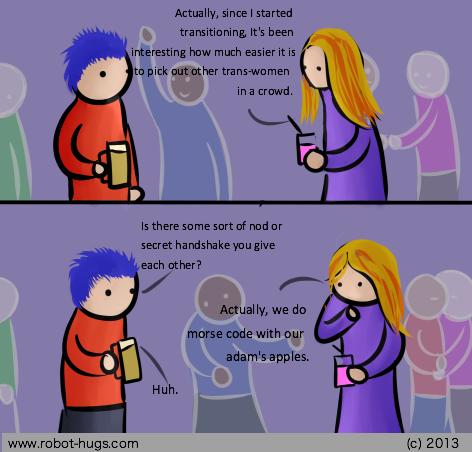 Actually, since I began transitioning, it's been interesting how much easier it is to pick out other trans women in a crowd. Is there some sort of nod or secret handshake you give each other? Actually, we just do morse code with our adam's apples. I hope everyone had a happy Pride. I have it on good authority that the information in this comic is correct.